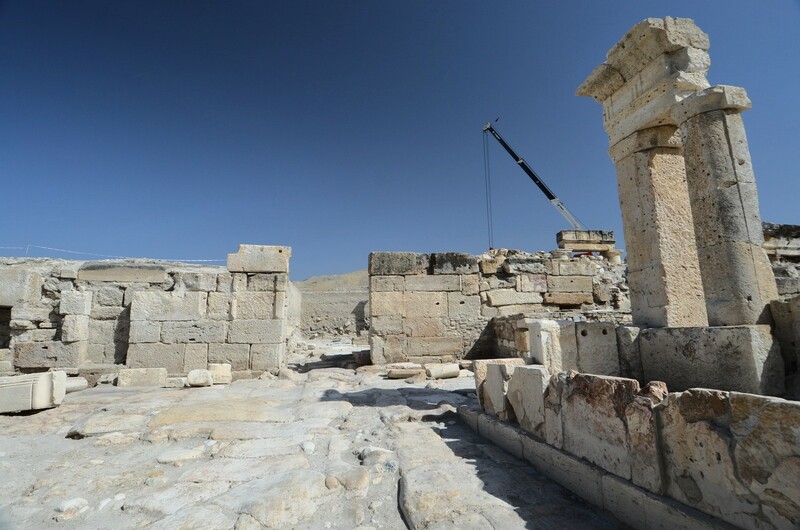 The ruins of the ancient city of Tripolis are located barely 20 km north-west of the famous Pamukkale. 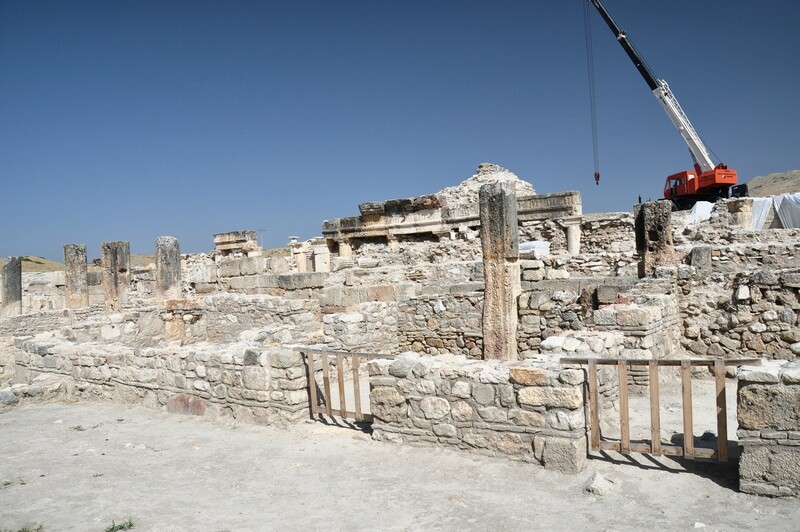 The present condition of the site does not impose on the visitors the impressions accompanying them during the visit in the ancient city of Hierapolis. 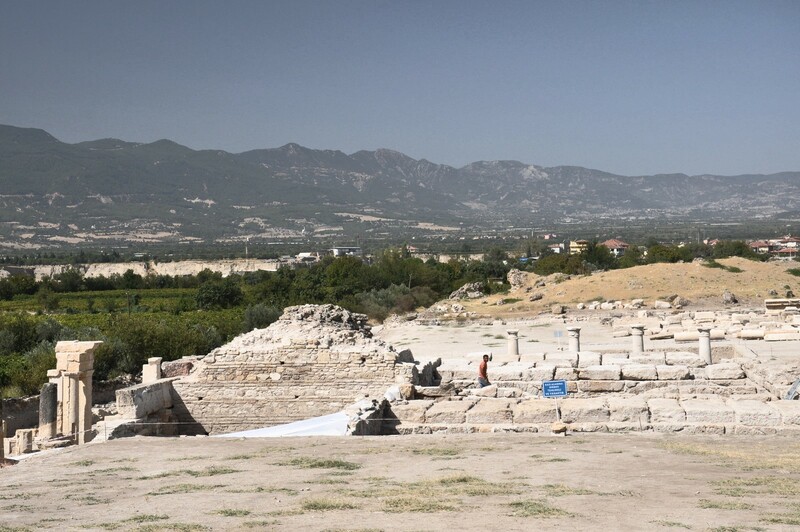 However, recent excavations in the area of Tripolis and new discoveries finding their way to the Turkish media, allow to believe that this site will soon be an important spot on the tourist map of the Western Turkey. Tripolis was a part of ancient Phrygia, but its border location causes that it is occasionally assigned to Caria and Lydia. The city was founded on the northern bank of the Meander river, in its upper course. 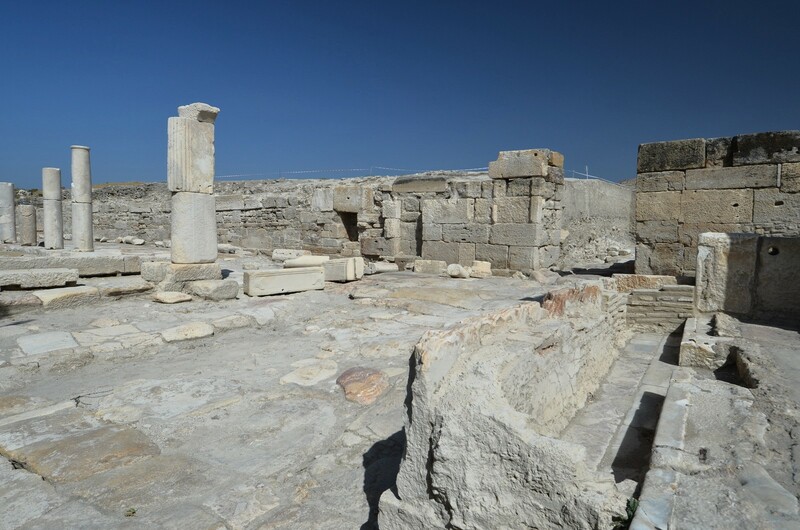 Its location on the route connecting Sardes and Philadelphia with Laodycea allowed it to compete for regional influence with Hierapolis. The coins minted in Tripolis were adorned with the head of the goddess Latona, the mistress of Zeus and the mother of Apollo and Artemis. 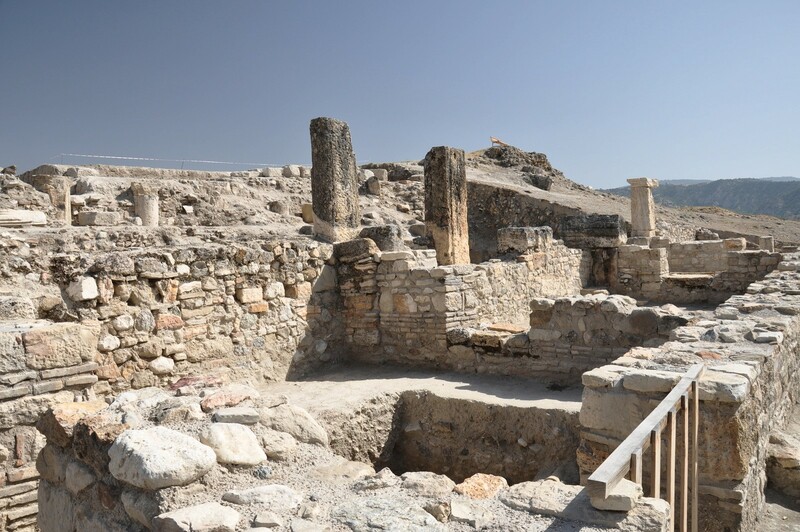 The first records mentioning Tripolis are relatively late and come from Pliny the Elder (the 1st century AD), who wrote about this city as of Lydian settlement situated by the Meander river. 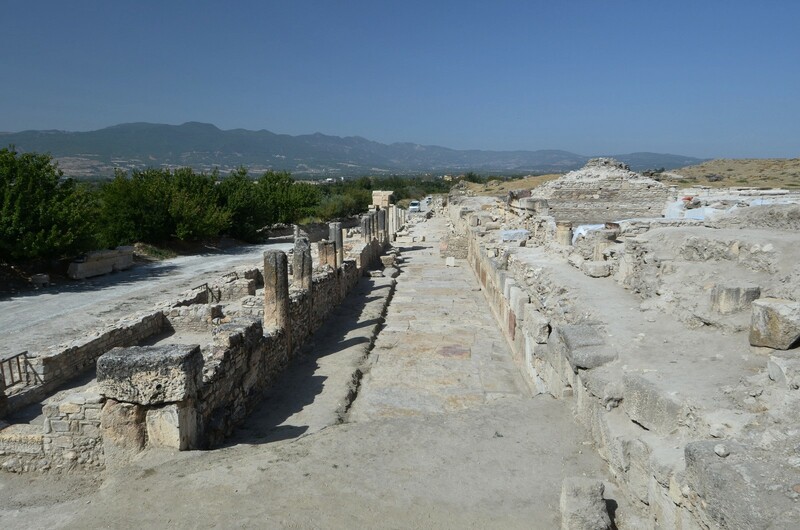 Claudius Ptolemy (the 2nd century AD) and Stephanus of Byzantium (the 6th century AD) describe Tripolis as a Carian town. The city was also known in ancient times under the names Neapolis, Antoninopolis and Apollonia. From the forced migration until the thirteenth century the area of Tripolis was abandoned. In the first half of the thirteenth century, the hill above Tripolis was fortified by the Byzantines. In 1243 the peace treaty between the Emperor John III Ducas of Nicea and the Seljuk sultan Giyaseddin Keyhusrev II was signed in this fortress. In the beginning of the fourteenth century the entire region around Denizli became an arena of fighting between the Byzantine Empire and the Turkish tribes. Eventually, Tripolis came under the rule of the Ottoman Empire in 1429. 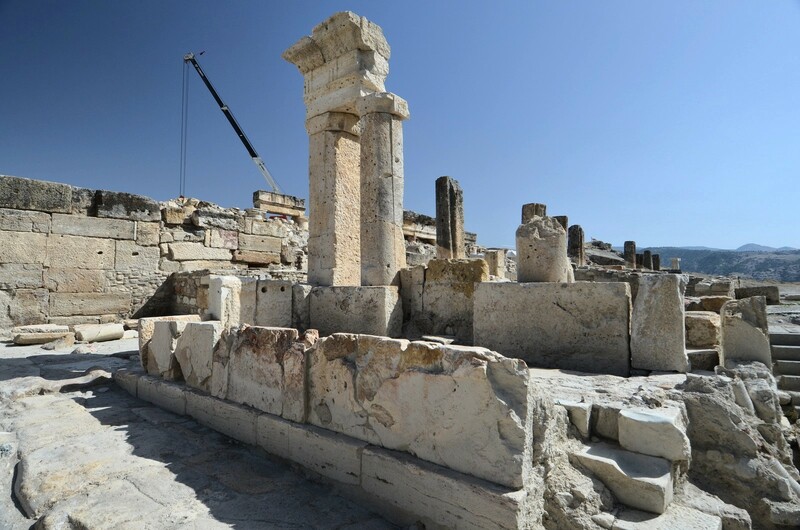 Travelers visiting Asia Minor have known of the existence of the ruins of Tripoli, at least since the seventeenth century, however, systematic archaeological excavations in the city only began in the late twentieth century. 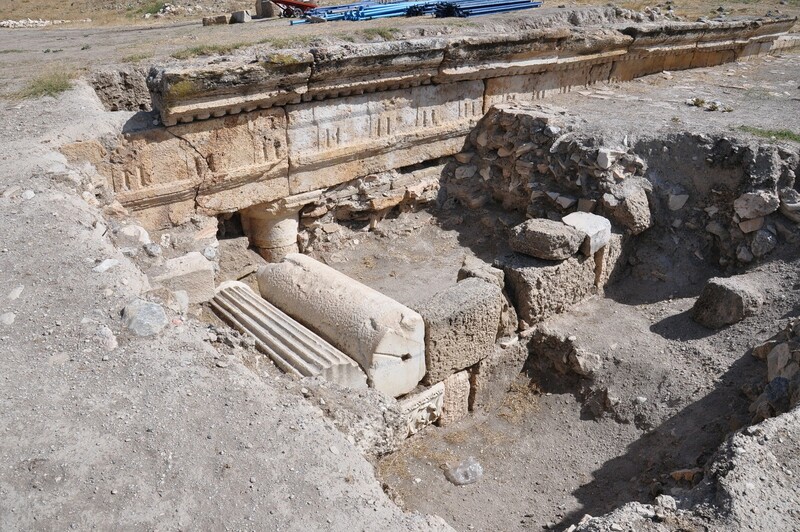 In the first period the work was managed by the Museum of Denizli. In 1994 as a part of these activities the excavations along the main avenue of the city, leading from east to west, were carried out. Moreover, the whole area was cleaned out. After a long break, the work was resumed in 2007 and by 2009 it was managed by Aytekin Erdoğan, the professor of Ege University in Izmir. 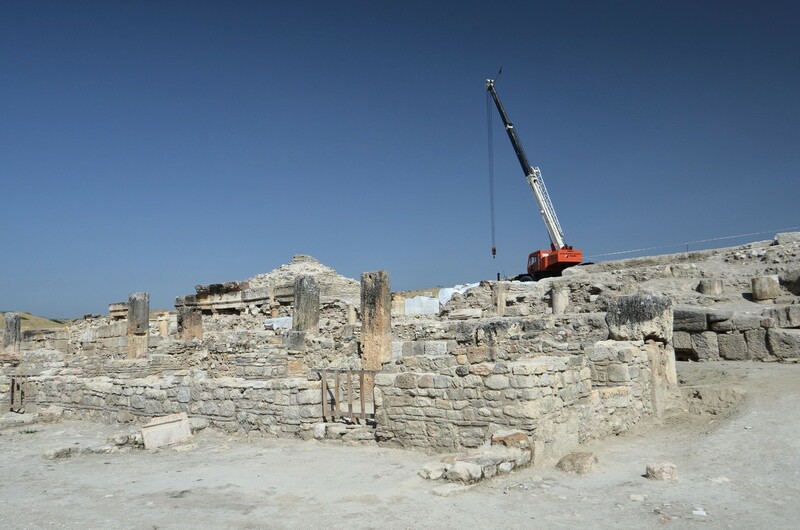 The work was executed under the patronage of the Management Board of the Denizli Museum. 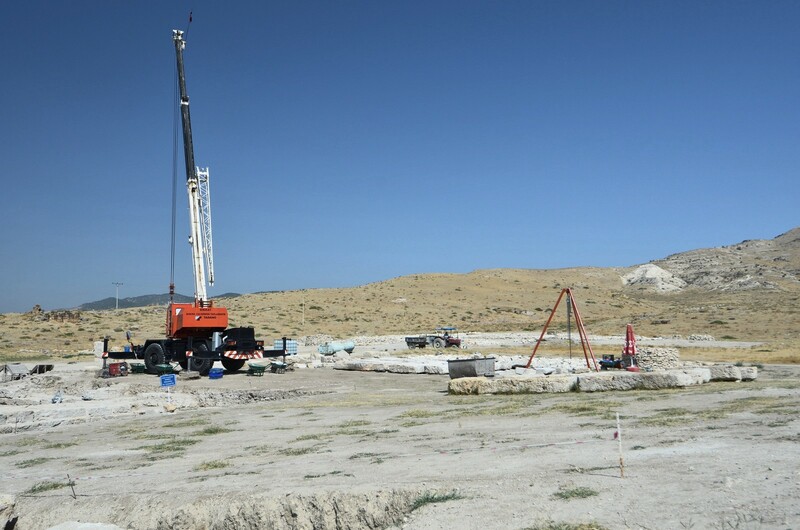 Extensive archaeological work began in 2012 and continues to the present moment. The support for the project has been granted by the Turkish Ministry of Culture and Tourism. 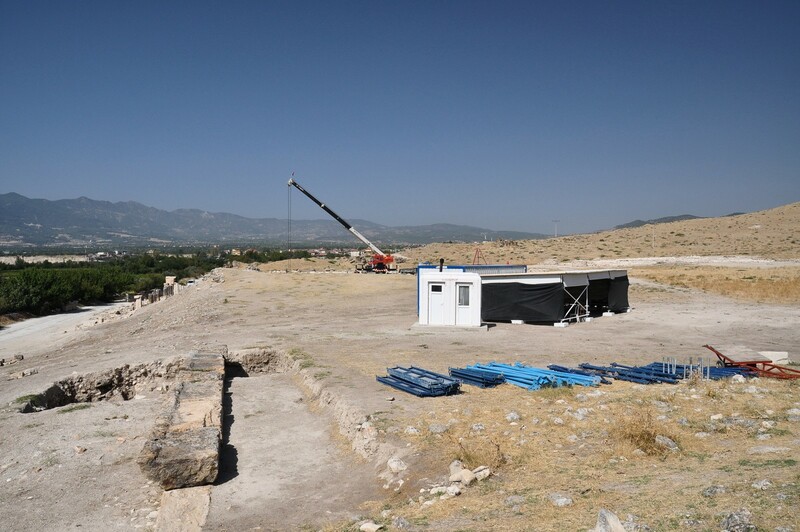 The excavation and renovation tasks are executed under the supervision of the director of the Denizli Archaeological Museum H. Hüseyin Baysal. The works are consulted with Professor Bahadı Duman of Pammukkale University in Denizli. 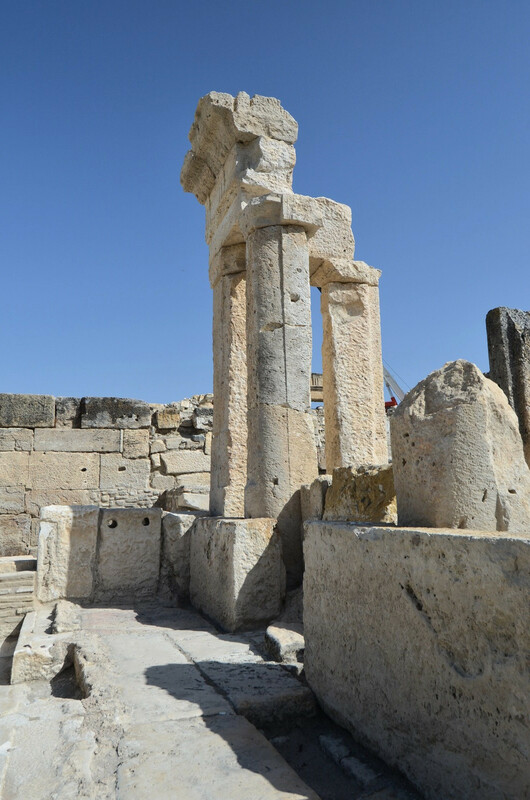 The excavations of 2013 brought many interesting discoveries in Tripoli. In August media reported the unearthing of the remains of the Byzantine church from the 6th century AD, which walls are covered with frescoes depicting Jesus, Mary and the apostles. This is the fourth church from this period found in Tripolis. Because Tripolis is located between two of the cities mentioned in the Apocalypse of St. John - Philadelphia and Laodycea, the regional authorities have high hopes for the development of pilgrimage tourism. The second interesting finding of Tripolis was announced in December 2013. On the wall of the store from the Roman period a mural depicting a leopard was unveiled. Apparently, the Buldan district authorities, where the ruins of Tripolis are located, consider making this animal a symbol of the entire district. 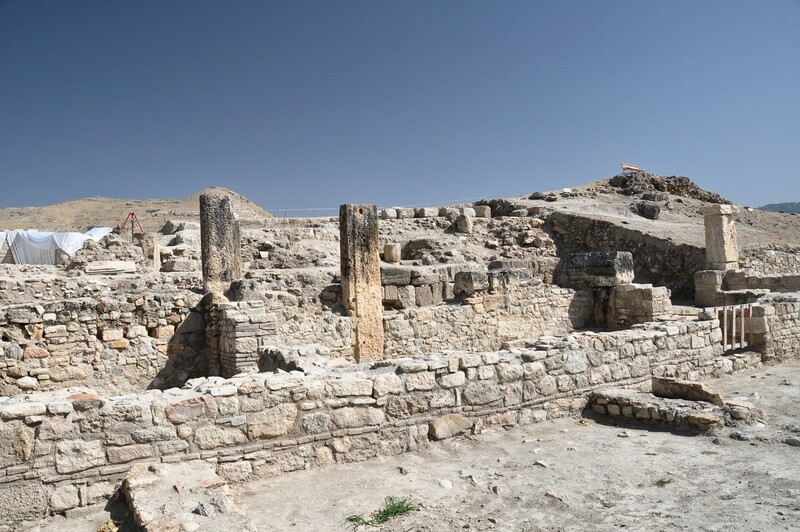 Most of the structures visible in Tripolis are dated from the Roman and Byzantine periods. A notable exception is a mound located 2.5 km north-west, from which the fragments of pottery and stone tools, dating back to the times of Chalcolithic (Copper Age) to the Late Bronze Age i.e. the period 4000-1200 BC were excavated. City walls surrounding Tripolis are from the Byzantine period. The part of walls on the eastern side was built at the turn of the fourth and fifth centuries AD. The original length of these fortifications exceeded 1 800 meters. Currently, only small sections of walls are the visible above the surface, reaching the height of over 6 meters and the width of 2.5 meters. The walls were erected using stone blocks, bricks and fragments of old buildings from Tripolis, including columns and their capitals, friezes and statues scratch. From the west the city was protected by the walls built in the late Byzantine period. The stretch of these walls measuring 1 200 meters has been preserved. Tripolis fortress, towering over the round tower, also originated in this era. These fortifications formed a defensive line against the Turkish invasions in the thirteenth century. 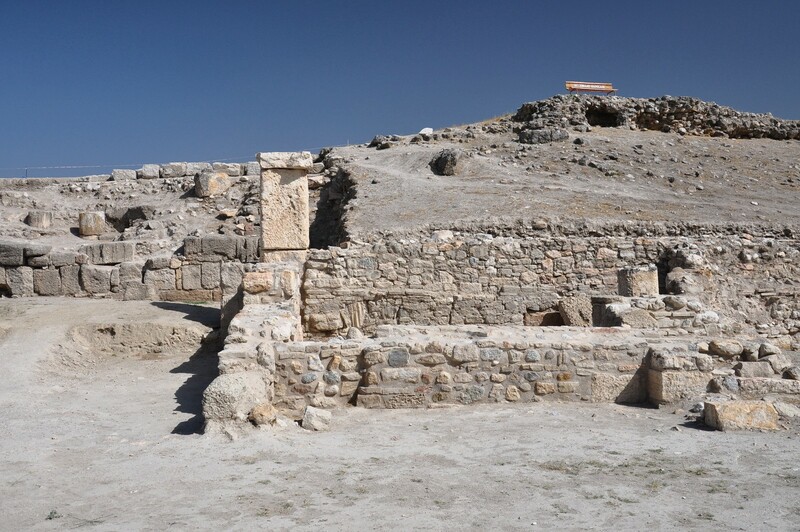 The city can be entered by two gates - called the Gate of Hierapolis and the Gate of Philadelphia. 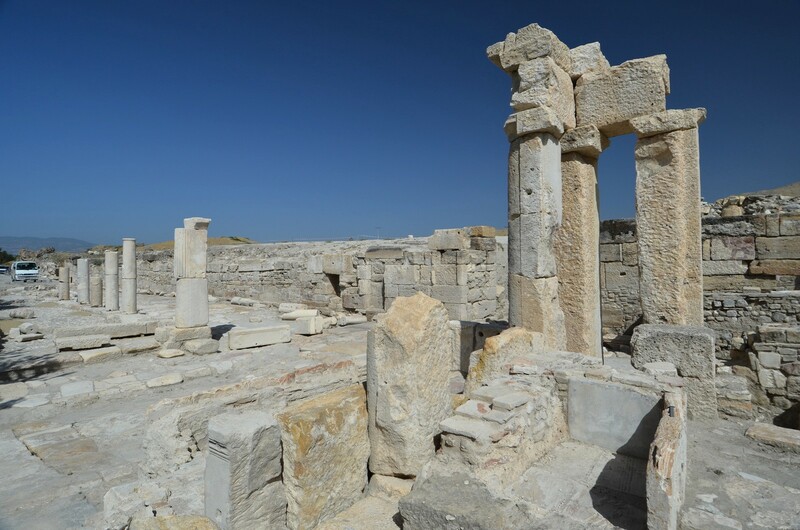 The gate of Hierapolis, located on the southern side of the city, was founded in the mid-second century AD. It consisted of a marble arch based on the pillars made of travertine. It is now almost completely ruined and overgrown with bushes. The Philadelphia gate was located on the western side of the city and it could be entered from road leading from Thyatira, through Sardis and Philadelphia. In the heyday of the city, this gate consisted of six pillars supporting two arches. For our times only one of the pillars of the height of 7.65 meters, which has recently undergone maintenance and renovation, was preserved. Moreover, two other gates located on the colonnaded street, were also preserved to our times in good condition. 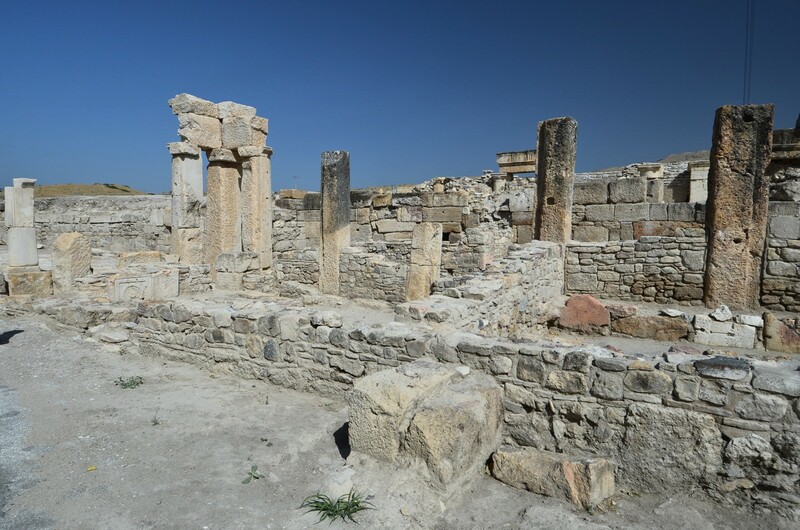 One of them was passed by the travellers from the direction of Hierapolis, and the second led to the late-Roman period agora. The city was planned so that its main thoroughfares intersect at right angles. The colonnaded street runs from the east to the west with a length of 450 meters, and its original width was 10 meters. The city walls built along this street in 5th century AD caused the narrowing of the street to 7 meters. The street was lined with slabs of travertine, and on its southern side 8-meter wide portico is located. The floors of the portico were decorated with multicolored mosaics, but only small fragments of those were preserved. Along the portico once 13 columns stood, which supported a wooden shelter. Only 6 of these columns survived. Along the street, archaeologists have identified six rooms that probably served as shops. 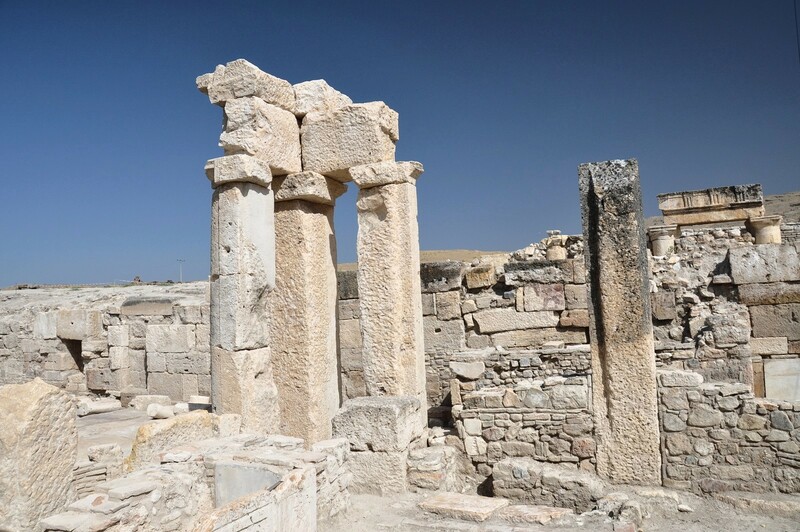 The colonnaded street intersects the Hierapolis street, which runs from the north to the south. Both thoroughfares were created at the same time, during the Roman period. 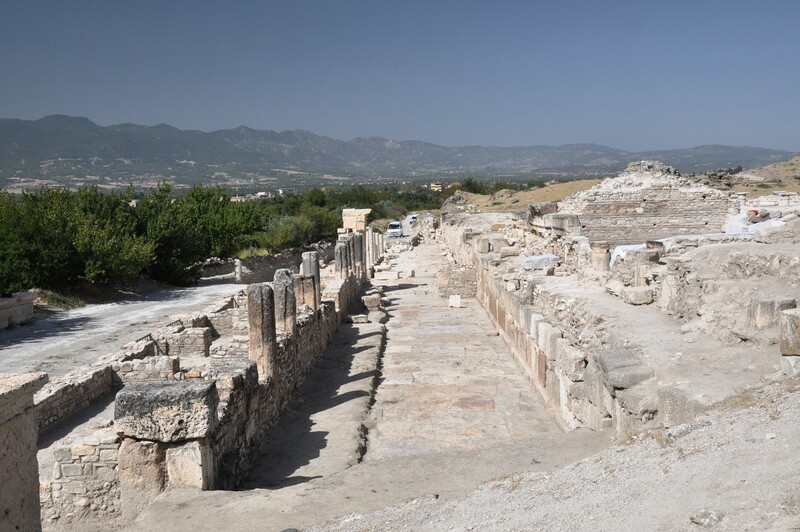 Hierapolis street was only partially exposed by archaeologists. It was lined with slabs of travertine and underneath sewer pipes ran, discharging dirt and rainwater from the city. The place where the main streets of the city intersect a Nymphaeum called Orpheus Fountain is located. It stood on a marble platform, and its walls were lined with onyx and white marble. Water was fed into the fountain by terracotta pipes from the cistern located to the east of the colonnaded street. Two agoras have been identified in Tripolis. The first of them, so called agora with arches, is located on the northern side of the colonnaded street. It has the area of about 1 000 square meters. Today, like many other structures in the city, it is covered with earth. From the fragments visible on the surface it can be deduced that it was surrounded by rows of arches supported on pillars. The second agora comes from the late-Roman period. Two porticos belonging to it have survived: the eastern and the western. On three sides of Tripolis the cemeteries were located. The type of burial depended on the area topography. In the cemetery on the northern side, located on the hillside, most of the tombs were chiseled in the rock. The necropolis in the north-east is dominated by sarcophagi, and on the south-east - by vaulted tombs from the early Byzantine Empire. 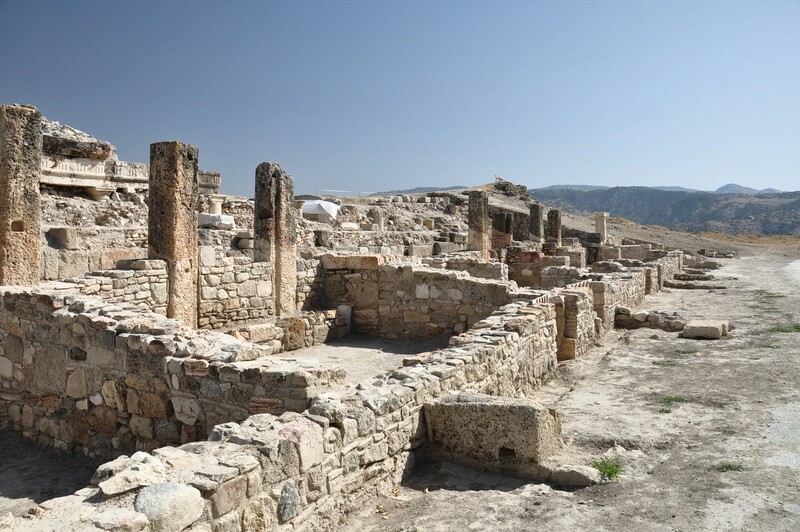 At least two baths were operating in Tripolis, both from the 2nd century AD. The Great Thermae, located at the western entrance to the city, consisted of rooms arranged in the direction from the west to the east. To the north of these baths the gymnasium was located. The Theatre Thermae were located, as suggested by its name, near the theatre. Its rooms were arranged from the north to the south. Archaeologists have also located a cistern consisting of four rooms, used as a reservoir for these baths. The theatre in Tripolis was located on the natural hill with a slope of 50 degrees. It is estimated that the audience could sit 8 000 people. Most of the theatre has not been uncovered yet, but the studies indicate that the building was erected in the second century AD. In addition to the theatre the residents of Tripolis could benefit from the stadium, where sport and cultural events were organized. The stadium stood on the north-western side of the city, outside the ramparts. It had dimensions of about 256 by 66 meters. The treadmill of the stadium is currently under a 3-meter layer of soil. The seats from the western grandstand are visible, but seats on the eastern side were destroyed. A bouleuterion, the building of the municipal council, stood in the centre of Tripolis. It was built of stone blocks, and its dimensions were 64 by 44 meters. Only a part of the walls of the structure is now visible above the ground level. Moreover, there were the remains of four churches from the early Byzantine Empire, decorated with colourful frescoes, found so far in Tripolis. 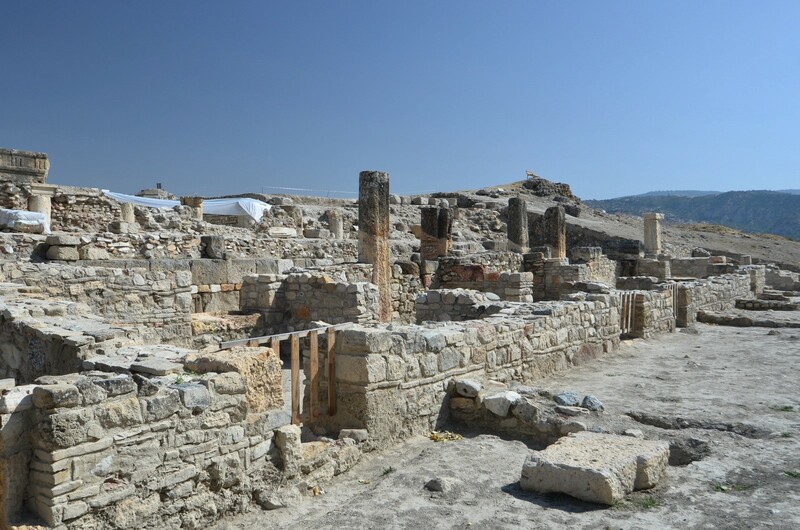 A recent archaeological discovery in Tripolis is a very well preserved indoor bazaar. 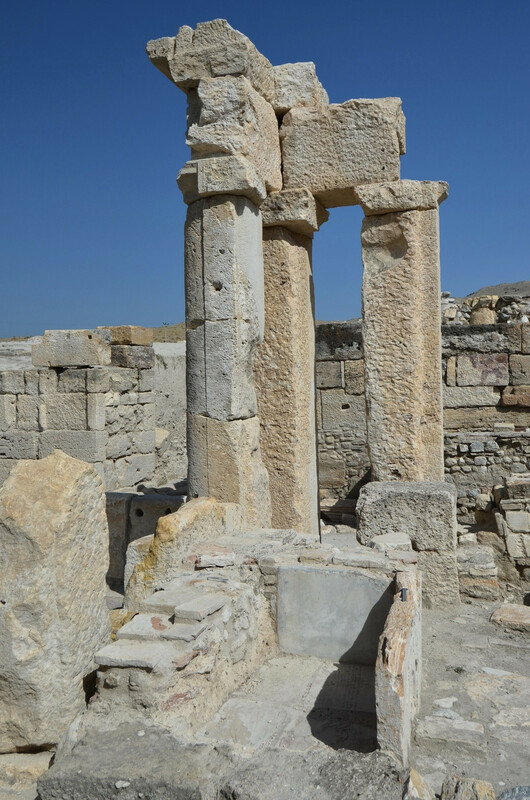 It is a structure unique in the ancient cities in the Mediterranean region. The building market is in an excellent condition because it was completely hidden under the earth for many centuries. Scientists hope to complete its unveiling in 2014. 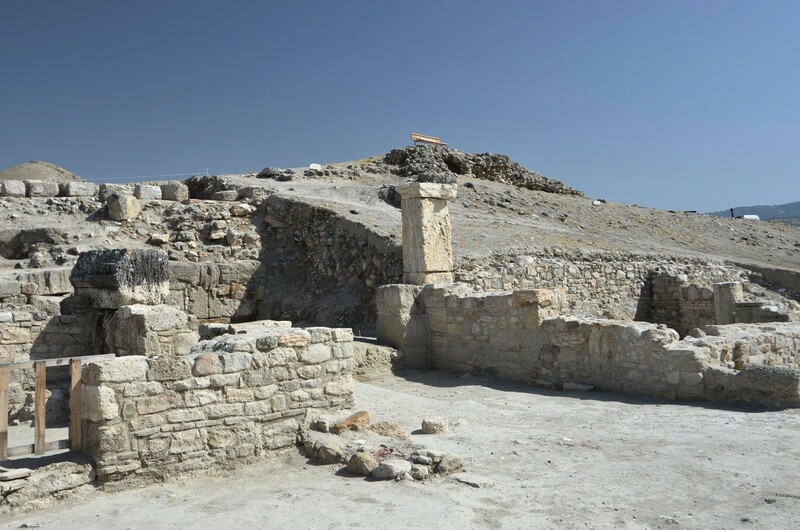 As Tripolis is the area of intensive archaeological works, access to all exposed building may not be possible. In 2013, there was no entry fee charged into Tripolis. 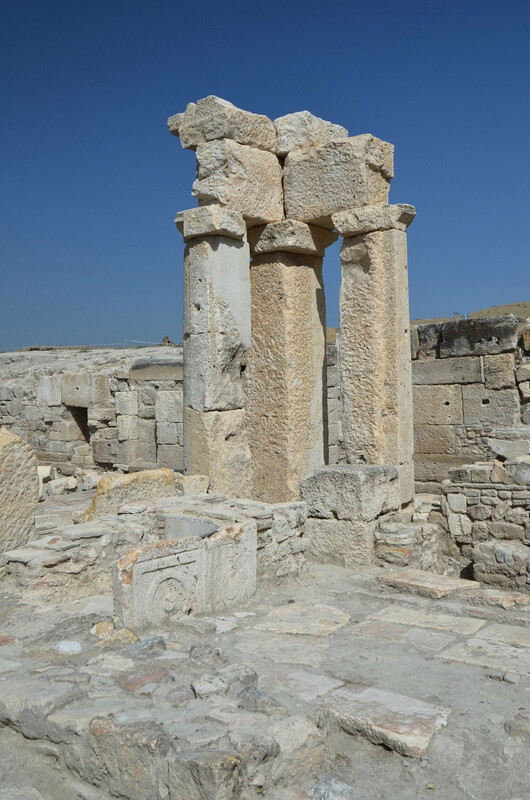 The ruins of Tripolis are located within the village Yenicekent (Buldan district), in the province of Denizli. 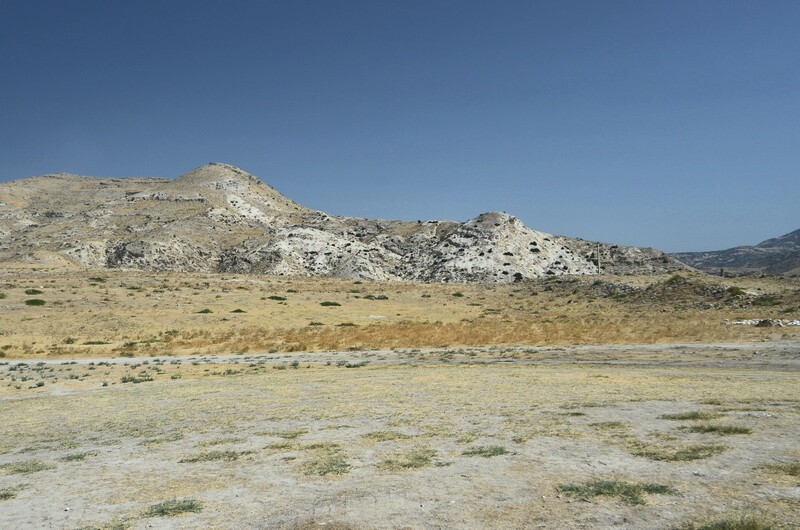 The main road leading near Tripolis is a route 585 from Salihli and Alaşehir to Denizli. In order to reach Tripolis leave this road at a height of Buldan town and head to the east for Yenicekent. Tripolis ruins are located about 1.5 km east of the village. The distance to Tripolis from Denizli is 41 km, from Alaşehir - 65 km, and from Salihli - 104 km. Nearest accommodation options are available in Denizli and Alaşehir.